In collaboration with Red Label Clothing, Xclusive Vapor & Paradise Entertainment. 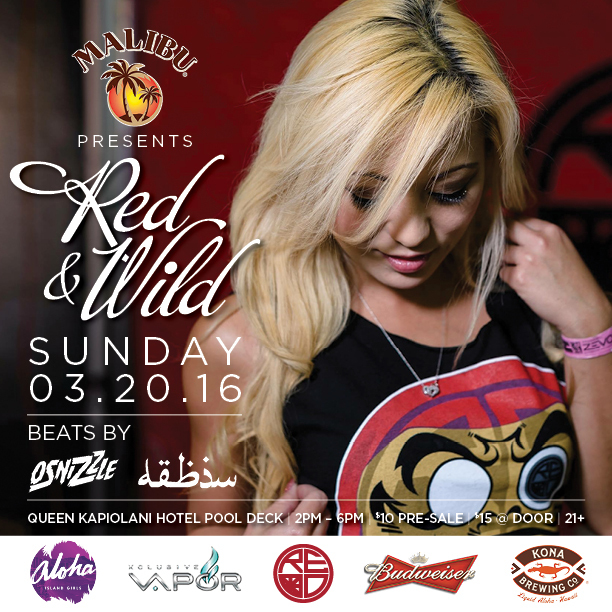 Featuring the first Red Label model search, an official Xclusive Vapor Vape Lounge, tons of prizes, Micah Banks on the mic, and the Aloha Island Girls! This is one party you dont want to miss! Limited Pre-Sale tickets available ($10), at Red Label Clothing. To enter the contest please contact brett@marketadvantageinc.net. Be the first to savor the new Fresh Café menu. 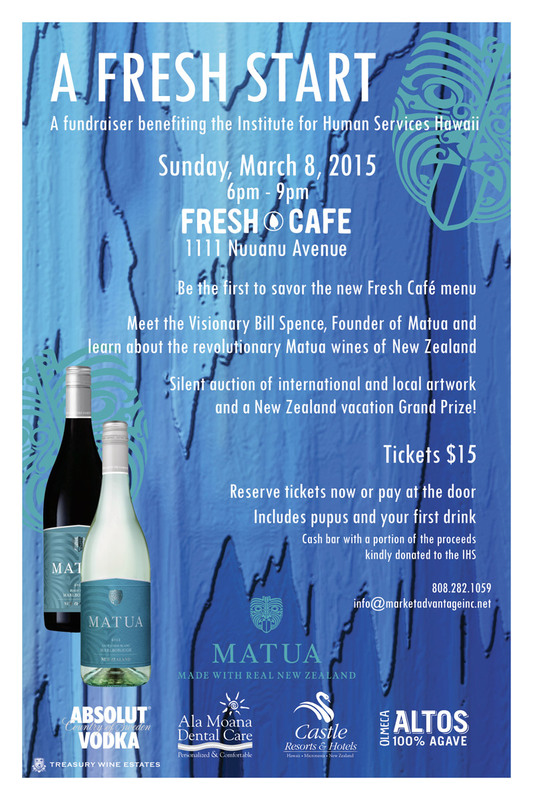 Meet the visionary Bill Spence, founder of Matua and learn about the revolutionary Matua wines of New Zealand. Silent auction of international and local artwork and a New Zealand vacation Grand Prize! 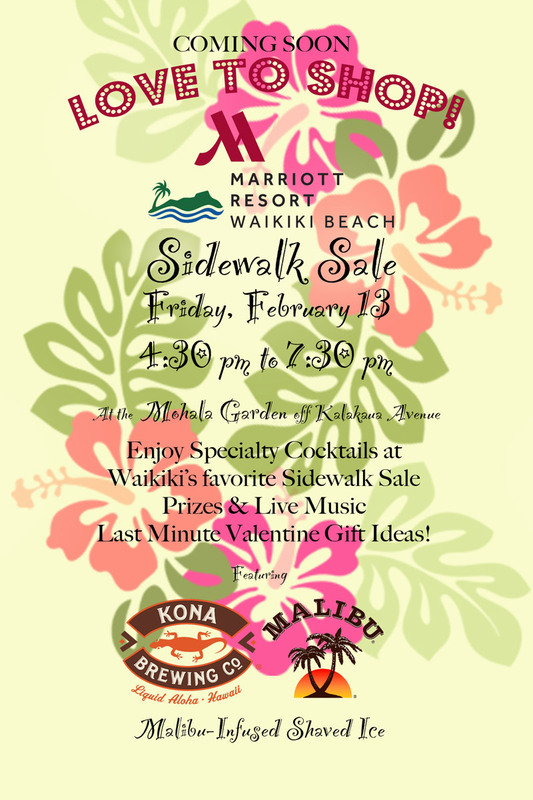 Enjoy specialty cocktails at Waikiki's favourite Sidewalk Sale. Prizes and Live Music. Last minute Valentines gift ideas. Featuring Kona Brewing Company and Malibu-infused Shaved Ice. 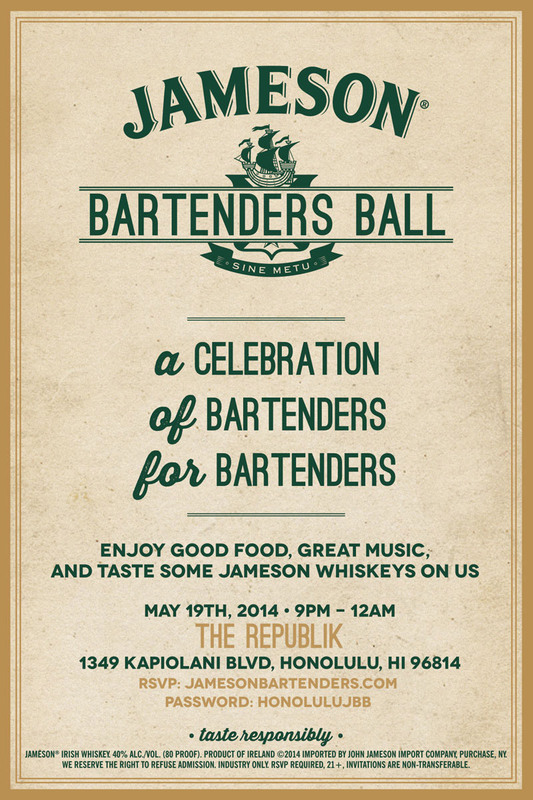 A Celebration of bartenders, for bartenders. Enjoy good food, great music and taste some Jameson Whiskeys on us.